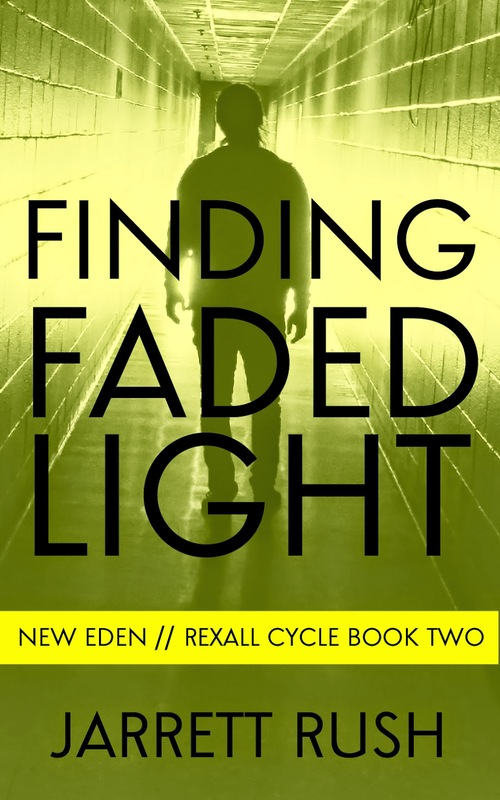 Finding Faded Light is now available at Amazon. The government has collapsed, RomaCorp is rising in its place, and Weber Rexall threw the first punch in a fight with Roma that he and his friends weren't ready to finish. With Roma looking for him, he's fled New Eden for the Outer West, hoping to give his friends time to prepare for an inevitable second round. He just never expected that to take two years. Scratching out a new life far from home, Rexall thought he had longer to stay out of Roma's reach. But with a hefty reward on his head, desperate thugs are eager to turn him in, and a relentless Roma security agent he knows all too well has come to bring him back. Rexall could run again, but RomaCorp won't stop unless he can finish the fight he started. Yet to do that, he needs more help and resources than the Outer West can offer--and if he fails a second time, there won't be a third. So this is it. 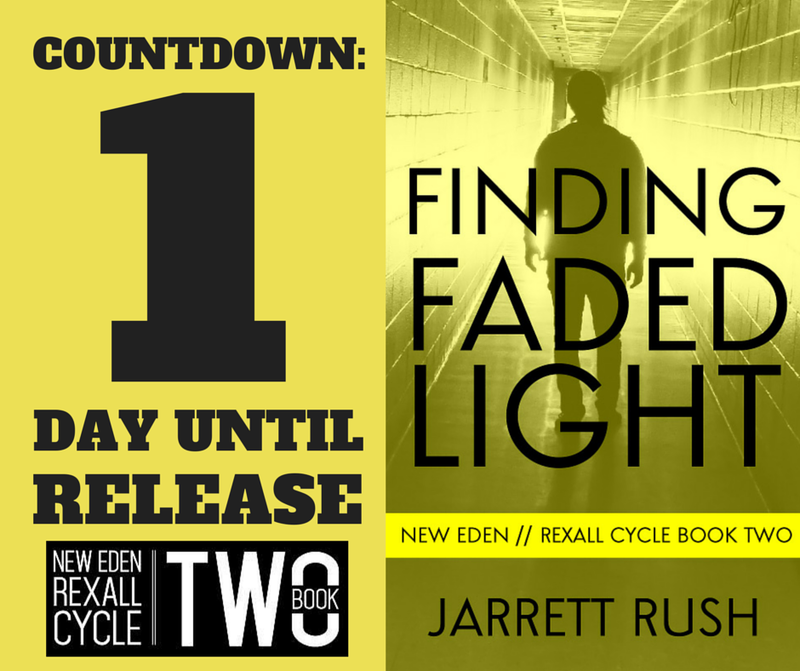 Tomorrow Finding Faded Light comes out, and you can finally stop hearing me talk about it. Well, talking about it so frequently. I am putting final touches on the file I will upload to Amazon this evening, and, if all goes well, you'll be able to purchase it tomorrow morning. But after I hit the publish button on this, the heavy lifting on my end is done. The writing and production is the only part of the publishing process that I have any real control over. Once a book is out in the world, the best I can hope to do is influence someone's buying decision, I can't make that person actually click the buy button. And this is where I need help from all of you. I want to ask you to do three things for me tomorrow, if I can. This is fairly obvious. I write books because I love doing it, but I also do it to sell books. But there's more than pure greed as a motivation here. I also want to try and beat Amazon's algorithm, and the only way to do that is with strong and sustained sales. A bit of an explanation: There is something at Amazon that authors call the 30 Day Cliff. It's something built into Amazon's algorithm that gives more weight to a book in the first 30 days of its release. On Day 31, a book that had been selling steadily will suddenly start to drop. For some books it's dramatic, like falling off a cliff. For others it's more gradual. But for all books it's real. So how do you beat this bit of math? Honestly, I don't know. But I'd imagine that a book getting out of the gate strong and then maintaing something close to that level of sales for a sustained period would go a long way. That's why I need everyone to log in to Amazon tomorrow and buy a copy of Finding Faded Light. Let's get Amazon's attention. Books that get their attention get promotion. Books that get promotion get sales. Sales help you avoid the cliff. At least that's the theory. Help me prove it. 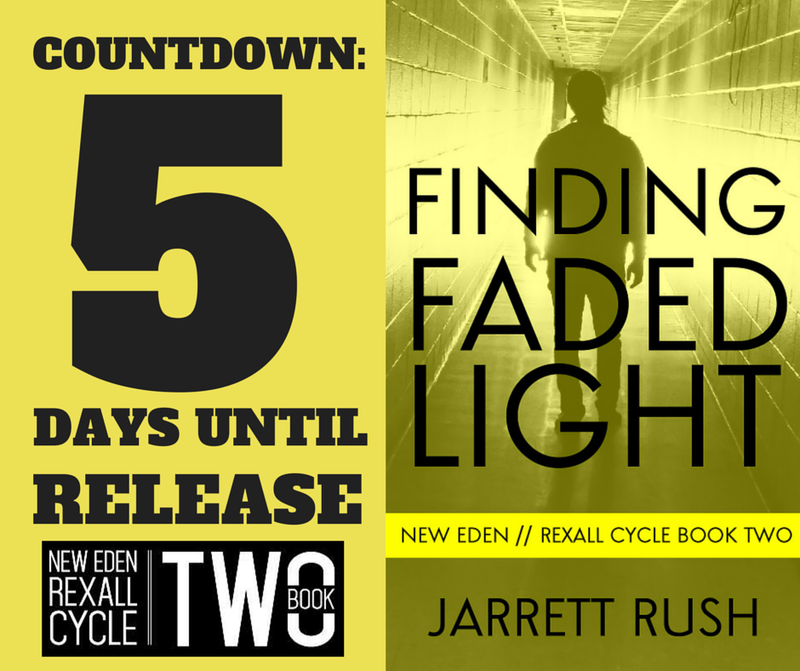 While I'll be thrilled if you buy Finding Faded Light, I'll be doubly thrilled if you actually read and review it. This is also part of beating the Amazon algorithm. Amazon likes reviews (A secret, authors do too). The more reviews a book has, good or bad, the more notice it gets from Amazon. That book is more likely to find its way into Amazon's engine and get a lift from promotion. But other readers like reviews too. I know that I've bought a book that I was skeptical about simply on the strength of reviews. Or lack of strength. I've bought some cheap books simply because I thought "There's no way it can be that bad." It usually was. But, the point is that readers like reviews. They have real power to influence a purchase decision. So, if you've taken the time to read the story then I'm hoping I can get a couple more minutes of your time and get a review. If you follow me on any sort of social media then you know I haven't been shy about promoting this book. The cover has been everywhere. So have countdown graphics. I've been posting blogs pretty regularly. I feel like I've built up some good traction, but tomorrow is the key day. I will take all the visibility I can get. That's why I'm asking for your help. If you see a Facebook post coming from my author page, would you mind sharing it with your friends? If you see a tweet from me, would you mind retweeting it? They say that someone needs to see a product multiple times before they buy it. The more I can get Finding Faded Light in front of people the better the chances of converting them to readers and then to fans. OK, that's it. I never intended this post to be this long. If you made it this far, thanks for reading. And thanks, in advance, for any help you can provide tomorrow. Finding Faded Light: What's It About? Can I thank you for something before we dive in to this blog post? Thanks for putting up with me while I've talked about nothing else but Finding Faded Light the last couple of weeks. I've tried to keep the posts limited so as not to wear out my welcome. But if I failed to do that, thanks for bearing with me. Just a couple of days left and I'll get back to posting about other things. But first a couple more posts focused on Finding Faded Light. Today's post, we finally talk about what this book is actually about. I realized that I'd shown you a cover, I'd told you when it was going to be available for purchase, but I'd never actually given you any idea of what actually happens in this story. Well, here's the blurb. It gives you a very high-level view of the plot. Hopefully, it's enough to whet your appetite. The government has collapsed, RomaCorp is rising to take its place, and Weber Rexall threw the first punch in a fight with Roma that he and his friends weren't ready to finish. With Roma looking for him, he's fled New Eden for the Outer West, hoping to give his friends time to prepare themselves for an inevitable second round. He just never expected that to take two years. Now Rexall is trying to scratch out a life in a place that isn't home, but it is just out of the reach of Roma, for now. As he begins to find a little bit of normalcy, trouble finds him, both in the form of desperate thugs eager to earn a hefty reward and a Roma security agent who Rexall knows all too well and is tasked with bringing him back home. This leaves him with two choices: He can keep running farther away or go back to New Eden and finish the fight with Roma that he started. UPDATE: I'll be honest, this blurb gave me fits. It took a lot of work to get it to what you see above. I was bouncing ideas off of the good folks at KBoards. A couple people kept giving me suggestions on what was missing and what language needed to be changed. We worked together even after I posted this blurb and came up with another version that I think I like better. Would love to hear your thoughts. I've been working on FINDING FADED LIGHT for a long time. I've told you that a couple of times now. At least it's a couple of times recently. I'm sure I've bemoaned the struggles before now. But these false starts -- the second of which you'll see part of in this post -- weren't without their lessons. The biggest thing I learned is how important it is for me to have a strong outline. Both of my false starts had them. That's why I think that even though I haven't used those 40,000 words yet, I will. The structures of these stories are good. They are solid little tales. Just because they didn't work here doesn't mean we can't pick them up, switch the settings, then be off and running again. I think that's especially true for this second false start. Actually, what I think is most likely is that a lot of what I wrote on this version of FINDING FADED LIGHT will find its way into the third book in the series. Mostly, that's because in this version of Book 2 I started it back in New Eden. I skipped all of the time Berger and Rexall are gone. It starts, as you'll see, right away with action, but we don't tell you anything about what happened while they were gone. I got a certain distance into this story and thought that them being outside of New Eden and how they get back is too important to this overarching story. I couldn't gloss over it with a few words or a flashback. So this version got ditched. But you'll likely see some of this again. Again, it's lightly edited so please cut me a little slack for a couple of grammar problems. "Let me see your face!" Miller was shouting from down the hall. Berger and I were tucked inside the door of an office. Berger'd kicked it open just before the shooting started. He dragged me in after him once we saw Miller pull a gun, a semi-automatic from what I could tell. "Let me see your face!" Miller shouted again. "Not gonna happen," Berger yelled back down the hall. "You're on The Signal," Miller said. "Give up now. Make this easy." "Can't do it," Berger leaned out of the door and stuck an eye around the corner. Miller shot twice. Quick succession. BangBang. Wood splintered by Berger's head, and he spun back into the doorway. "We'll need cover," Berger said. "I'll provide that. You head for the exit door at the end of the hall. I'll be right behind you." I nodded and quickly got myself set. I counted to three in my head and took off for the door. I heard Berger fire five shots at Miller. I stayed low and hit the door with a shoulder. It swung open, and I stumbled into the alley. I looked back for Berger. He was running toward me, his upper body turned and facing down the hall, still shooting at Miller. Miller had pushed himself tight to the wall. Berger brought his big body through the door and we passed the two guards we'd knocked out earlier as we turned out onto the street . They were both still unconscious. announcing the release date that I'd wasted about 40,000 words just finding the thread for this book. Most of those wasted words came from false starts. If you haven't read Chasing Filthy Lucre -- or if you read it so long ago that you forgot how it ended (understandable, since it was 3 years ago that it published) -- at the end of the book our two main characters have to leave town. I don't think I give away anything saying that. It's how the book ends, but most of the main action has already happened before that. I like the ending of Chasing Filthy Lucre a lot. It feels very satisfying, at least to me, but still sets up a second story, and that was the goal. I wanted someone to be able to read the book and feel that sense of closure you get from a good ending, but also be intrigued enough to want to read the second installment. I never expected the second installment to take three years, but what are you going to do? So, I liked my ending a lot. What I couldn't figure out though was how to start the second book. I think the problem was I doubted my plan. I'd had all four books of this series planned for a while. Yes, it was four at one time. It's three now. And when I started writing what I'd planned as book two something just felt off. So I stopped writing what was a pretty good story because it just didn't feel right. I was about 20,000 words into that version. Started a new version that fast forwarded the story and that felt wrong too, like I was glossing over too much. So I went back to the original idea and tried again. Another couple of false starts, I finally found it -- the thread I needed to get the story started. I knew that I was going in the right direction when I wrote about five pages in less than an hour, a great speed for me. As we head toward pub day, I thought I'd share a couple of those false starts, at least a couple excerpts from them. Here's the first go at writing Book 2. It's presented with only light editing, so if it looks a little rough that's because it is. It'll give you some idea of setting in Finding Faded Light, but there shouldn't be any spoilers. And don't be surprised if you see this in another story/book. I like a lot of it, and it's still a story with legs, just not as the book after Chasing Filthy Lucre. We all heard them. I know because the conversations stopped. But when the echoes of the blasts quit repeating off the brick walls of the downtown buildings, we all went back to celebrating. It was Saturday, and Saturdays in the Outer West were for celebrating. The crowd around me was laughing and drinking and the smell of alcohol and cigarettes was in the air. I pulled a reader from my pocket and tapped its screen. The thing blinked to life. A photo of a girl came up. I held the screen out in front of me so the guy standing next to me could see it. "Look at her," I said. The man kept his eyes down, focused on the bit of drink that was left in his plastic cup. "Look at her," I said again. I pushed the reader into his face and put my hand behind his head. I pushed his face forward until his nose touched the screen. "Have you seen her?" I asked, my voice forceful, but not so loud that I'd draw attention. "I don't know where she is," the man said and squirmed free from my grip. "Not anymore." "What do you mean not anymore?" I asked. "That's all I can tell you," he said. He finished off what was left of the homebrew in his cup then crushed it in his fist. "Even if I had seen her recently, I don't know where she is anymore." The grill that was next to us was full of steaks. The people working that grill had stepped a few feet away when I raised my voice. "Look," I said. "I don't care about you." I pointed toward Berger, he'd been watching the whole time from across the street. "He doesn't care about you. All we want is the girl. Help us find the girl." A woman's laugh cut through the commotion all around us. Voices filled the silence. Conversations and celebrating. "I can't help you find the girl," the man said. He pulled a hand through his shag of hair. "I don't know where she is. Honest." "But you know who has her." He shifted on his feet, his hands behind him and resting on the brick wall. "I know who had her," he said. "She's probably changed hands by now." "Don't tell me that," I said. "What did they want with the girl?" "I don't know," he said and reached into his pocket and pulled out a leather pouch. He shook it a few times then pulled open the drawstring closure. He sat it on the ground in front of him and reached back into his pocket. This time he grabbed a rolling paper. He bent over and reached into the bag. He came back up with a pinch of tobacco and placed it in the paper. He rolled it tight and stuck it between his lips. He went into his pocket again and pulled a match that he struck on the brick behind him. He held the flame to the end of the cigarette he'd just rolled and took a deep breath in. "Why do you keep calling her a girl?" he asked. "She can't be less than 25." "Because the guy who's paying me calls her his little girl." We finally have a date. January 30. 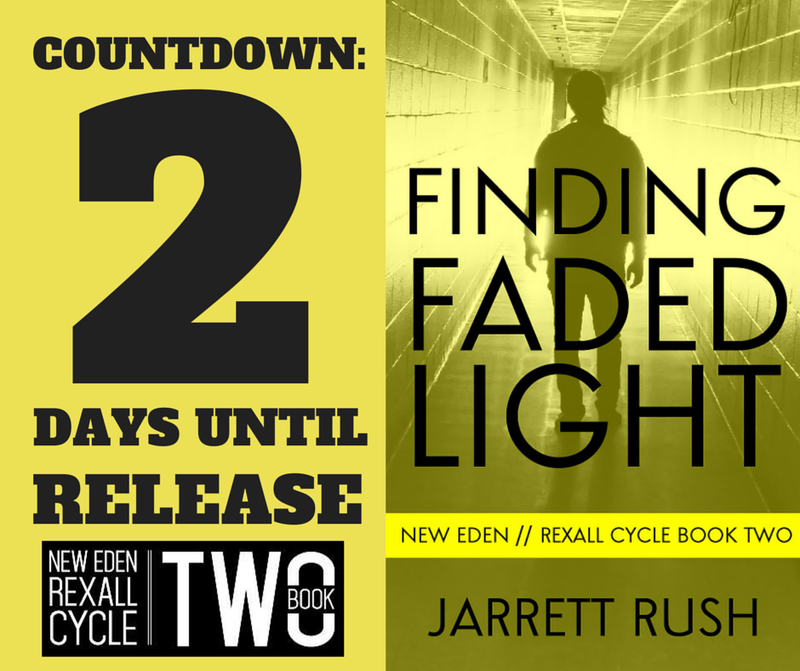 That's when you'll be able to buy a copy of Finding Faded Light at Amazon. It's been a long time coming. Too long. But after a few false starts that resulted in more than 45,000 words sitting unused on my computer, I finally found the thread of what the second story in the Rexall Cycle should be. Finding Faded Light opens two years after the events at the end of Chasing Filthy Lucre. Rexall and Berger have had to leave New Eden. They are hoping to wait out Roma in a place called the Outer West, but trouble seems to have found them. I'm really happy with this book. I think it's a great follow up to Chasing Filthy Lucre. When I started writing these it was never about the technology, the settings, or the data addictions. It was about the people, and I feel that this second book gives us a peek into parts of Rexall that we never saw in Chasing Filthy Lucre. I'll have more leading up to the release, including a bit more about those 45,000 words that I abandoned. But if you've been waiting for the followup to Chasing Filthy Lucre, it's finally here. 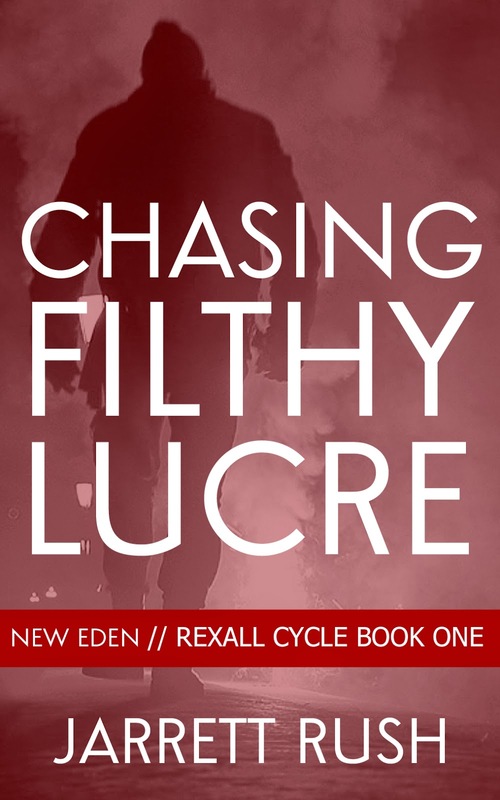 Also, if you're interested in reading Chasing Filthy Lucre before the sequel is available, you can get a copy from Amazon here. I've been working in marketing for a few years now. It'll be four this year if you're counting, but you shouldn't be. I'm not. In that time, I've learned a lot of things about connecting with markets, getting products in front of people, and raising your profile among your potential audience. I do a pretty good job of putting those tactics into practice for clients at the day job, but I've never really done it for myself. Exhibit A: I haven't posted here since September. That's not blogging/marketing best practices. Hopefully that all changes in 2015. I've got a few plans in place to increase my marketing efforts that shouldn't put a lot of stress on my day job or my writing time. The new cover for Chasing Filthy Lucre. will have a similar look. Branding! author/publisher thing seriously. First is release more books and stories. There's nothing that sells books like other books, especially when you write in series like I do. I've got the follow up to Chasing Filthy Lucre coming out in the next few weeks. The cover is ready. I've just got to make some last corrections to the story, and it'll be ready for some light formatting then publishing. I've also got four other novellas planned for this year in a new series that I'm excited about writing. Two short stories are planned for that series as well. And, hopefully Book 3 and another novella in the Chasing Filthy Lucre world. As mentioned, I've got to update the blog more often. I know how to do this for clients at work. It's all about planning posts and standing features. But, I suppose it's easy to do for someone else, not as easy to do it for yourself. Like I said, I've got blog posts planned. I've got some standing features that I'm working on. This place should be more interesting to visit in 2015. I also need to create an author website to better my web presence. A site is table stakes at this point, and without one I'm not really in the game. I'm working on that now, so that should change some time soon. If I can get past me perfectionism, that is. I have a vision in my head, and I'm reluctant to change from that. But the first thing I'm doing -- and the one that is most important -- is creating a mailing list so I can update people about new releases and other fun stuff. This is one of the first things we recommend clients do when we bring them on at work. I know what a good list can do, but I've never tried to build one for myself. Well, I am now. I don't plan on sending out message after message, just information about new releases. Maybe a quarterly update. And, for sure, free stories and other stuff as a thanks for being part of the list. If you're interested in signing up, click this link. So that's it: my plan. Not very sophisticated, but, honestly, nothing about marketing is all that complicated. A lot of it comes down to consistency and common sense. I think I have the second part down, now to master the first.